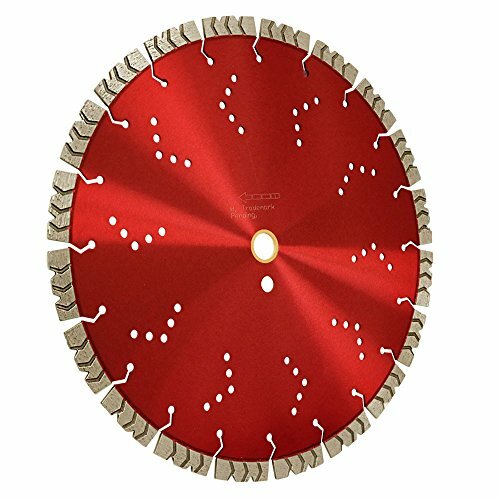 14 Inch Laser Welded Asphalt Diamond Segmented Blade with Undercut Protection with Gullet Core Design. 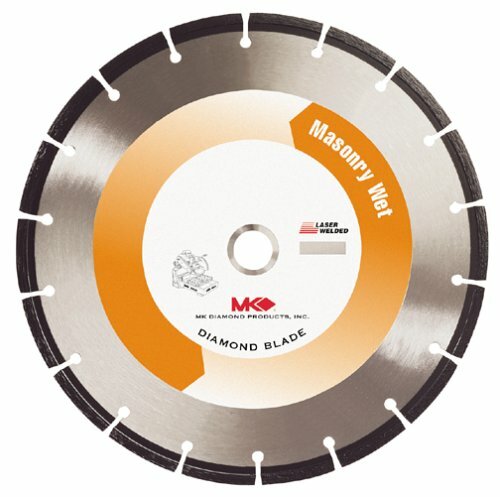 This premium quality asphalt blade is designed for aggressive cutting of abrasive materials with maximum performance. 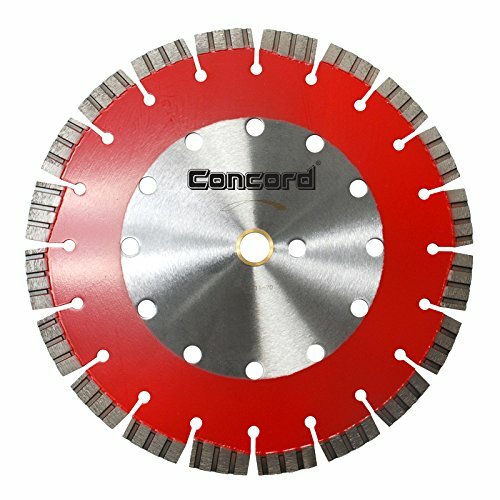 The drop segments provide undercut protection to prevent segment loss and extend blade life. Wide slots provide fast cutting and cooling with easy slurry removal and faster cutting action. 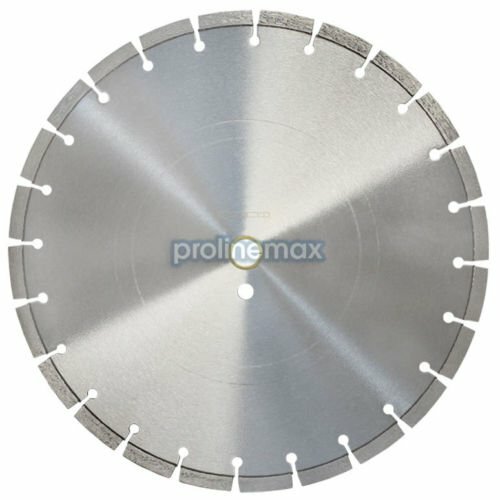 This Premium blade is good for cutting Asphalt and Green Concrete using either a Gas Cut-Off Saw or an up to 20HP Walk Behind Concrete Flat Saw. 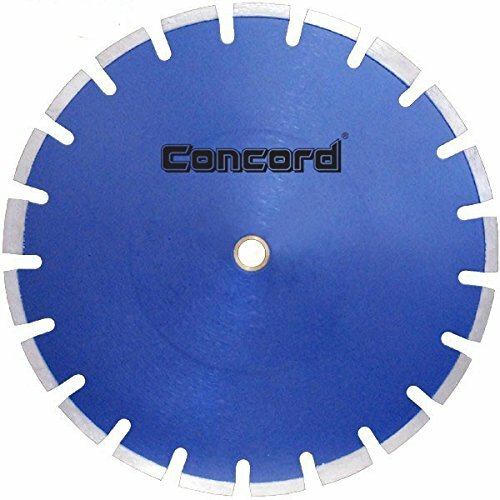 130203 Blade Size: 10" Features: -Wet Cutting Segmented Rim Blades MK-10S.-Premium grade blades for brick.-Laser welded. Dimensions: -Item # 129957 - Diameter: 7'', Width: .080, Arbor: 5/8'', Weight: 1 lbs.-Item # 129965 - Diameter: 8'', Width: .080'', Arbor: 5/8'', Weight: 1.204 lbs.-Item # 130203 - Diameter: 10'', Width: .090'', Arbor: 5/8'', Weight: 2.6 lbs.-Item # 151453 - Diameter: 12'', Width: .100'', Arbor: 1'', Weight: 2.66 lbs.-Item # 128538 - Diameter: 14'', Width: .125'', Arbor: 1'', Weight: 4.4 lbs.-Item # 157771 - Diameter: 16'', Width: .125'', Arbor: 1'', Weight: 5.92 lbs.-Item # 128546 - Diameter: 18'', Width: .125'', Arbor: 1'', Weight: 7.32 lbs.-Item # 128553 - Diameter: 20'', Width: .125'', Arbor: 1'', Weight: 9.95 lbs.-Rim height: 0.31'' (8 mm). 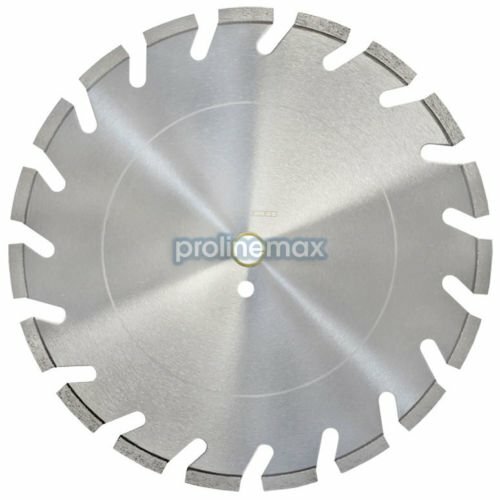 128629 Blade Size: 14" Features: -Wet Cutting Segmented Rim Blades MK-30S.-Premium grade blades for brick and block Laser welded.-Arbor: 1''. Dimensions: -Item # 128629 - Diameter: 14'', Width: .125'', Weight: 4.6 lbs.-Item # 128637 - Diameter: 18'', Width: .125'', Weight: 7.8 lbs.-Item # 128645 - Diameter: 20'', Width: .142'', Weight: 9.96 lbs.-Rim height: 0.31'' (8 mm). 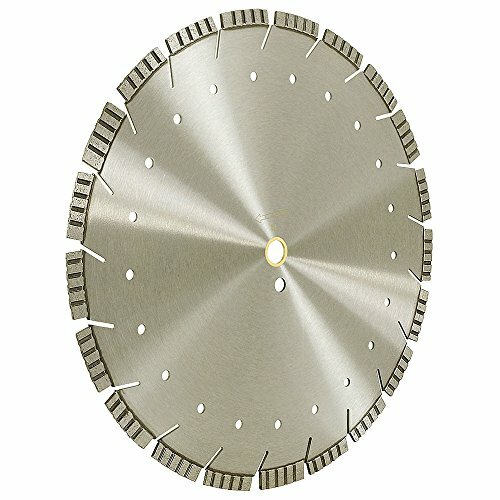 Copyright © Wholesalion.com 2019 - The Best Prices On 0.125' Arbor Online.